On Reno and Robinson in downtown Oklahoma City, you will find the Myriad Botanical Gardens. This is 17 acres of some of the most peaceful and beatific gardens in the entire city. It is an oasis in the middle of the busy, booming city. You can find countless types of trees and plants, as well as waterfalls, winding waterways and a sunken lake. Learn more about the flora and fauna here while you enjoy educational opportunities like the Oklahoma Gardening School and the Roaming the Rainforest summer programs. It´s truly one of Oklahoma City´s treasures. 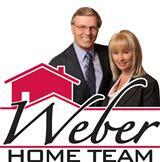 Contact your local real estate experts Dan and Janet Weber for listings that match your criteria in a place you'll love, Oklahoma City! Contact Dan & Janet Weber, Oklahoma City Real Estate Agent if you have any questions about purchasing real estate in Oklahoma City, Moore, Mustang, Edmond or any of the surrounding OK communities.